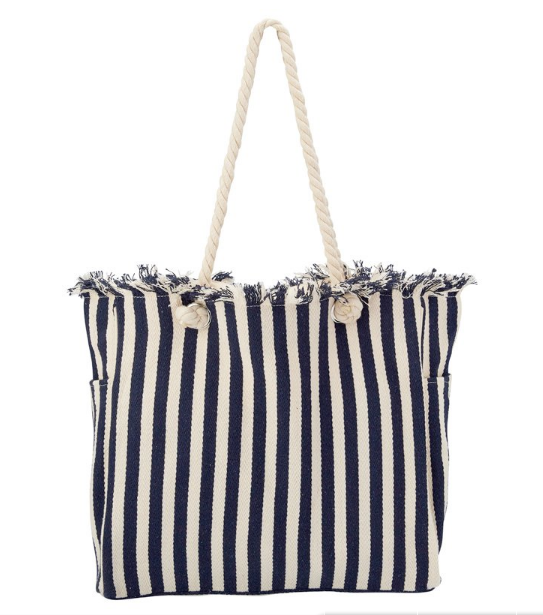 If your beach bag is looking a bit sad, trade it in for this nautical looking Stripe Rope Tote in Navy, $39.50, available at Indigo in stores or online. Not only will you be the envy of beachgoers, but you’ll be able to pack a fair amount of beach essentials in this bag, which is made of 100% cotton. Stripe Rope Tote is 15.4″ x 4″ x 14.2″. Wearing sunscreen is a must on beach days, but not all sunscreens are created equally. 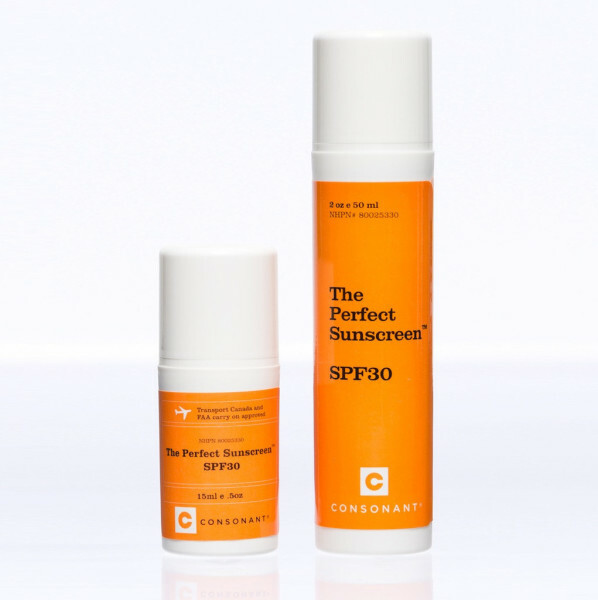 The Perfect Sunscreen Lotion SPF 30 from Consonant Skincare, $45 (50 ml), is free from oxybenzone, which is a synthetic estrogen that can play havoc with your hormone system and which is found in a few popular drugstore sunscreen products. The Perfect Sunscreen is also free from Vitamin A or retinyl palmitate, which can cause tumours or lesions to develop more quickly. In fact, The Perfect Sunscreen Lotion SPF 30 scored a perfect ‘1’ on the Environmental Working Group (EWG)’s report on sunscreens due to its lack of harmful ingredients. The Perfect Sunscreen Lotion SPF 30 is easy to apply: just press the nozzle button and apply sunscreen lotion directly to face. The lotion is slightly tinted so that you don’t look like Casper The Ghost. The Perfect Sunscreen Lotion SPF 30 will be my go-to sunscreen lotion this summer. 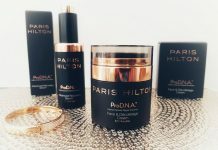 Purchase at Consonant Skincare at 2379 Yonge Street or 120 Adelaide Street West in Toronto. When it’s time to head over to the snack bar or go for a stroll along the boardwalk, you’ll want to slip on something comfortable. You can’t beat Birkenstock’s Gizeh Pearl White Thong Sandals, $129.99, for style and good foot health. Birkenstock’s Gizeh sandals feature a Birko-Flor upper, suede footbed, cork-latex midsole and built-in arch support. The sandals deep heel cup and toe grip provide additional support. Purchase at Toronto retailers including SoftMoc, Town Shoes, Sporting Life and Hudson’s Bay. Lying on a beach for an afternoon can be strenuous work [;)] so you’re going to want to make sure you’ve packed some healthy snacks in your beach bag. Hungry Buddha Coconut Chips in Cheeky Chocolate will stave off the munchies and provide good nutrition. Made of coconut, cane sugar and organic cocoa powder, Hungry Buddha Coconut Chips have no cholesterol, no trans fat, NON-GMO, dairy free and gluten free. Find Hungry Buddha Coconut Chips in Cheeky Chocolate at Loblaws, Sobey’s or Toronto health food stores. 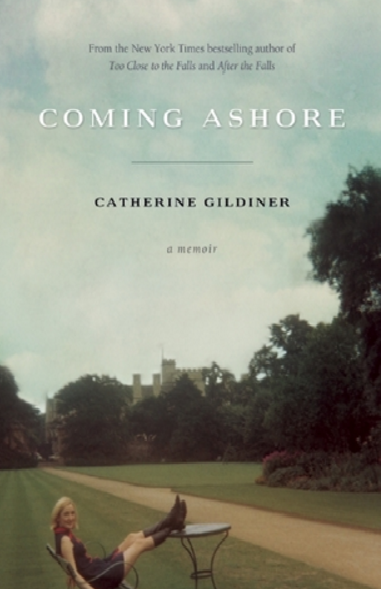 Everyone needs a good read at the beach and Coming Ashore by Catherine Gildiner will definitely keep your attention. Ms. Gildiner’s memoir focuses on her time at Oxford as an undergraduate English student who clashes with England’s class system. While at Oxford, Gildiner meets a famous 60s rock legend and a future U.S. politician. Gildiner continues her Master’s degree at the University of Toronto, living at Rochdale College, the country’s largest drug haven. Gildiner’s daring adventures will keep you riveted. Don’t forget to include in your beach bag essentials something to put on when you’ve had too much sun. You can always don a t-shirt or you could put on this Lole Women’s Reggae Hoodie Cover Up, $80, for maximum style. The lightweight material is made from 51% cotton and 49% polyester. The tone-on-tone stripe on sleeves adds elegance. 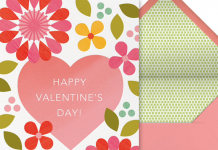 Available in pink, black, Vallarta Blue, Aruba Blue and white. Purchase at Lole or Sporting Life. After a few hours of sun, your skin will benefit from some extra hydration. 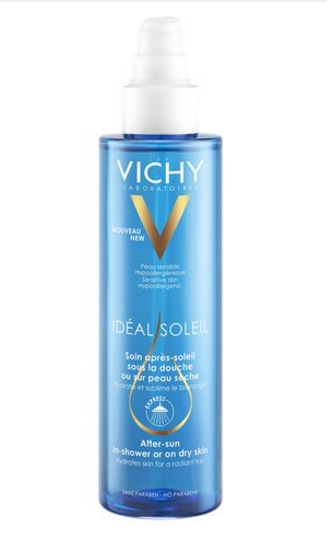 Vichy’s Ideal Soleil Double Usage After-Sun Care, $29.99, refreshes and hydrates skin. Just spray it on wet or dry skin for a satiny, smooth effect. Although the product is fragrance free, I noticed a pleasing scent from the natural shea oil and apricot kernel oil ingredients when I applied it to my arms and legs. Vichy’s Ideal line of skincare products are paraben free and Vichy’s Ideal Soleil Double Usage After-Sun Care is good for all skin types. I have sensitive skin and the product did a great job of hydrating my skin with no adverse reactions. With these Beach Bag Essentials for summer 2016 in hand, you are certain to have a wonderful time at the beach this summer. Enjoy! Previous articleTokyo Smoke on Adelaide St. W.
I am headed to Thailand next month and definitely need all of these beach bag essentials. It is very hot there and after my skin cancer scare last year I have learned just how important using the right sunscreen is. I definitely want to try Consonant Skincare’s sunscreen as it sounds to be a healthy product. I love all your essentials. I am always looking for new things to drop in my beach bag. The birkenstocks look fantastic and oh so stylish. Plus love the sunscreen options. never heard of them before so I will have to check out them. Oh it’s been so cold here in NY, I can’t wait for the summer to finally get here! I love the beach bag, it’s looks nice and roomy. I’ve never tried after sun care sknive got to look into this! Thanks for sharing, I’ve got an idea of what I need to get soon. Let me start off my first saying I love that bag! I have to find it! If I packed a bag right now, it would be full of sunscreen and gummi bears. Champagne gummi bears. Those sandals are cute too! Thanks for sharing! I love the tote bag and have been thinking about what I need to put in my beach bag. I like to have one ready for if we decide to take last minute trips to the beach. I also think a book is a must have because my daughter will swim for hours and it gives me something to do. That is such a cute bag! And great products to put in it. I especially love the hoodie coverup. Sometimes you need to protect your head from too much sun, but still want to give your legs that extra sunny love. It’s such a cute color, too. Spring is normally filled with rain here in the Pacific Northwest and we usually don’t find summer hitting us until mid-late June. However, this spring, it was already 85+ degrees today! I’m loving your beach finds, most are affordable for the average joe, stylish and genuinely useful! Those are really great beach essentials and I really like that striped beach bag too. It’s always great to have a good book in tow at the beach, it’s so calming reading next to the sure. A cover up or hoodoo is a must here in Ireland too as it can get so chilly quite quickly.